There are innumerable ways blockchain can revolutionize the healthcare industry. Blockchain technology is ruling the market and headlines of the news. From citizens of Asian countries to ministers of Dubai (UAE) – everyone is talking about Blockchain. The technology is emerging out beyond the concept of bitcoins and cryptocurrency transactions; revamping not one or two sectors, but changing the landscape of the whole business world. What Blockchain technology exactly is? Blockchain technology, in simpler terms, refers to a distributed database enclosing a history of transactions and records. When requested for a transaction, it asks all the peer-to-peer networks for validating the transaction. Once validation is done, it incorporates the transaction with existing ones to create a new set of data for the ledger. This way, it excludes the need for a middleman and ensures higher data security. Blockchain technology is booming as an integral part of different business verticals, especially healthcare. According to a study conducted by IBM last year, 56% of the surveyed healthcare providers are likely to introduce blockchain solutions into their practices by 2020. How Blockchain influences Healthcare Sector? Presently, there’s no method by which a doctor could access the data collected by clinical trials by a healthcare practitioner in another part of the world. However, this is possible with blockchain. With ‘technology for trust’, the health care centers can store their collected data and records into a nationwide distributed ledger. This information can be made accessible to other doctors through a blockchain private key. By this information exchange process, they can learn from the trials made by other doctors and can drive better medical processes to deal with a critical medical condition. In other words, they need not performing similar tests to understand the possible outcomes. Likewise, the doctors can store patients records in secure ledgers which are made available to the patients via a blockchain private key. The patients can access and share their cryptographically secure reports with other medical organizations; enabling them to provide better solutions based on medical history. Blockchain technology is also making an effective involvement in the supply chain management industry. From developing a drug to delivering it to patients, blockchain can integrate the supply chain process and lower down the risk of fraud through smart contracts, transfer of assets and distributed ledgers. For example, iSolve LLC is connecting various pharma organizations to introduce ADLT (Advanced Digital Ledger Technology) blockchain concept to mHealth apps for managing supply chain processes. The National Health Care Anti-Fraud Association (NHCAA) disclosed that 3% of US’ healthcare spendings in 2011 was subjected to frauds. Various patients were exploited to unsafe and irrelevant medical procedures, while several legal insurance data was taken into practice for making fake claims. However, with the help of blockchain-based applications and solutions, all the tests, reports, billing and payments can be tracked in real-time. As a result, there will be lesser risk of fraudulent cases; boosting trust between patients and medical professionals. Moreover, the technology can also help the patients understand the agreements and payments clearly and stay away from threats. Just like any other industry, the healthcare industry is also encountering with data breaches day after day. They are losing their sensitive medical health records and facing the worst consequences. One of the best ways to deal with these data breaches is Blockchain technology. According to the top-reputed companies, all the data are stored in connected blocks. For accessing or updating any particular block, one has to get approval from nearly half of the connected blocks, which means enhanced secured and lesser risk of malicious activities. A perfect example of this kind of security is Prescrypt. It is a blockchain-based prototype that let patients have full control over their medical record. If anyone – may it be a medical professional – want to access the data, he/she has to request the patient for the same. Once the patient approves their request, then only they can have access to patient’s personal data. 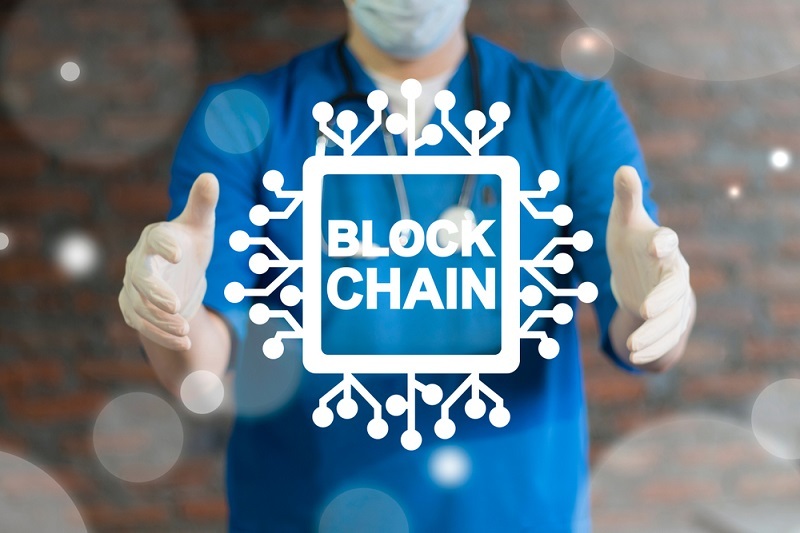 Blockchain technology shows promising future to the healthcare industry with secure data exchange, trackable billing and payments, and much more. 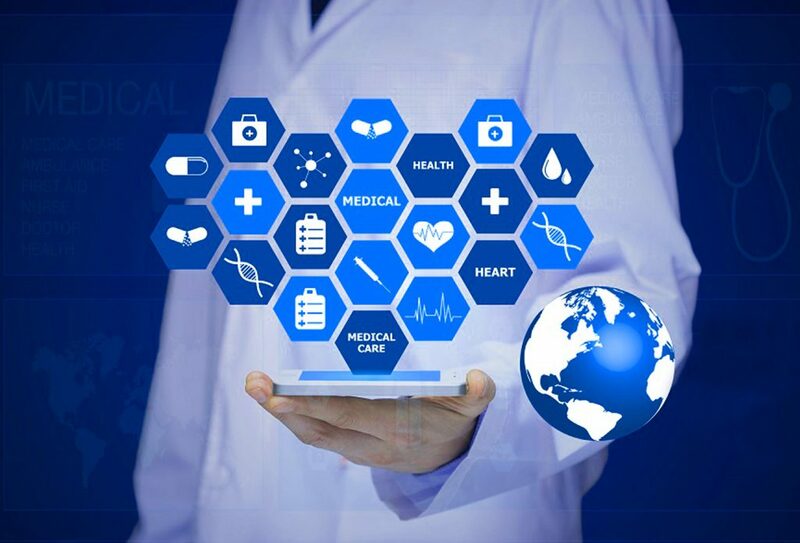 It is prompting the healthcare organizations, tech innovators and all the related entities to understand the inside out of the technology and employ it for streamlining their processes. However, more research and experiments are required to put into practice for employing blockchain technology in the healthcare industry on a large scale.